Then a very cute guy who handles a bow like Robin Hood emerges from the woods and takes them to safety at his fortress-like home. And that’s just the first sign that Morgan and her brother have entered a hidden world filled with secrets. Oh, no. Was the wolf hit? Morgan prayed not. She sensed him trying to protect them, and couldn’t imagine why, or why he seemed like ‘her wolf’. Cries, like the shrieks of a panther, carried through the trees. A chill crawled down her spine. Were the woods filled with creatures she thought long gone from these mountains? Eerie howls rose from the surrounding woodland on every side. A whole pack must be gathering. Morgan wasn’t certain whether to be frightened, fascinated, or hopeful of rescue. Still light-headed, not sure she even saw clearly, she watched the black wolf reappear; with him, a great white wolf whose green eyes shone like starlight. The most extraordinary yet. Together, the two loped after the brown and gray one. Judging by the high-pitched calls, there were more wolves out there. And panthers, or were they mountain lions? Snarls, growls, and the shrieks of enraged felines ripped through the smoky shroud. The pack wasn’t after her and Jimmy. Not now, anyway. Married to her high school sweetheart, Beth Trissel lives on a farm in the Shenandoah Valley of Virginia surrounded by her human family and furbabies. An avid gardener, her love of herbs and heirloom plants figures into her work. The rich history of Virginia, the Native Americans, and the people who journeyed here from far beyond her borders are at the heart of her inspiration. She’s especially drawn to colonial America and the drama of the American Revolution. In addition to YA fantasy romance, she also writes historical, time travel, and paranormal romance, plus nonfiction. Follow Beth’s tour and comment; the more you comment, the better your chances of winning. Blurb: What do you think?? The greatest enemy of a vampire is boredom. Four centuries of existence have taught Lord Morgan Gabriel D’Arcy to fear nothing and no one – humans and their weapons have little chance against his vampire speed and strength. 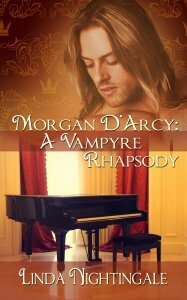 Still, the Vampyre code requires secrecy, and he has learned to hide his nature from the world. But when the lure of a life in the sun dangles before him, he finds himself at the mercy of calculating human women. The last of his aristocratic British line, he hasn’t given up the hope to pass his title to an heir. I received rewrites on this collection of short stories and am reading through to see if there are any changes I want to make before letting it go. As writers here, I don’t know if you have as hard a time letting go of your “children” as I do. Here is the blurb for the collection which will be published by The Wild Rose Press. 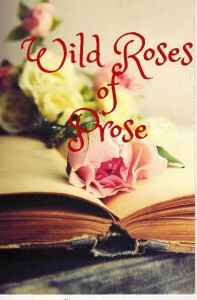 My very first editor accepted and edited the Black Rose Rosebud. Fairly Certain is the unlikely adventure of nineteen year old Petir Capota, a computer geek who finds himself back in the days of Robin Hood after falling out of a tree in Connecticut. He awakens surrounded by a band of young British scavengers, clothed as if in Old England. His instinct to freak out is tempered by the arrival of a fair maiden wearing a bow…and arrow. Normally, fair maiden types don’t go for computer geek types, but for some reason, Petir is fairly certain he can do whatever he wants in this realm. With the conflict of the Royals escalating, Maid Rianne has joined the outlaws hiding in the forest, outwardly defying the handsome and accomplished knight to whom she is promised. She is fairly certain she merely feels flattered by Lord Petir’s uncensored admiration of her skills with the staff and bow, the same unmaidenly pursuits disdained by her own knight. However, that does not explain the quickening of her pulse produced by Lord Petir’s unguarded gaze. The outlaws bring Petir to their camp to tend his injuries. To Petir’s delight, and to Maid Rianne’s dismay, they invite him to join their merry band. It’s all fun and games until she is captured by the enemy. Now, a geek with no ability to defend himself must find a way to rescue the fair maiden. He released her and stepped back so quickly she staggered with his absence. Alarm flashed through her at his reddened face. She had never seen such a thunderous expression. “Wenches?” Rianne’s spine stiffened along with her resolve. Unbidden, her palm swung up to strike him, but he intercepted her hand. With a harsh laugh, he shoved it away. Without a thought, she took a step back, stripping her bow from her shoulder as she moved. Grasping the bow’s end with both hands, she swept it in a wide arc, catching him behind his legs and upending him. He landed on the ground with an audible thump. He stared at her from the flat of his back, mouth agape. For a moment, she stared back, her own jaw slack with disbelief at her uncharacteristic behavior. An odd exhilaration filled her. She ran off, escaping into the crowd before he could stop her, but his parting words fell like a shroud on her shoulders, dimming her elation. DEBORAH ANN DAVIS writes Quirky New/Young Adult Fiction with a Twist. She began writing when searching for inspiration for her 5th grade English Journal. Lo and behold, she found her world was full of funny tales just waiting to be told. As she grew older, it never occurred to her to pursue writing, not even when she discovered her flare for telling stories at college parties. After a string of undergrad majors, she realized she could reach a captive audience EVERY DAY in the public school system. As you probably know, teenagers love to laugh, and what could be more entertaining than Biology, Earth Science, and Environmental Science? Then there’s an added bonus: Once teens know you like to laugh, they want to make you laugh. Go figure. After a particularly nasty bout of Lyme disease, she turned to Fitness to boost her health, and to Writing to boost her happiness. Currently, she is a healthy and happy Educational Speaker and a Certified Personal Trainer. Twelve years after their first kiss, Deborah reunited with, and married her childhood sweetheart. Together they coached their daughter’s AAU Basketball Team, which swept States two years in a row. (Yay!) Then, for several years, their daughter and their money went to college. They presently reside on a lovely lake in Connecticut. When she isn’t writing novels for her Love of Fairs series, she enjoys dabbling with living a sustainable life, dancing, playing outside, and laughing really hard every day. She also promotes increasing your movement throughout your day as Wiggle Writer in her Merry Meddling blog at http://deborahanndavis.com/merry-meddling/ .